(Withstand Voltage up to 320VAC) INPUT POWER : 72W ± 5%.INPUT FREQUENCY : 47Hz to 63Hz.INPUT CURRENT : <600mA RMS @140VAC.EFFICIENCY : >84% @ 230VAC.POWER FACTOR : >0.95 @ 230VAC.THDi. : <10% @ 230VAC. Matching up with the ever increasing requirements of the customers, our company is engaged in providing 200W LED Power Supply. Being a well-distinguished company in the market, we are into offering Wiiz Rope Light Power Supply. In order to keep pace with never ending demands of clients, our company offers LED Driver. This is a prime quality LED cove light, rope light, Driver. 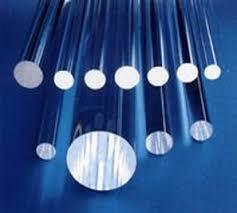 Specifications as well as the Industry Standards. 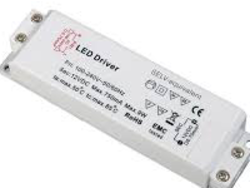 Our company has achieved widespread recognition in providing LED Driver. - Power Consumption (Wattage) Ranges: 10, 18, 22 & 36W. - Operational Voltage: 90V - 300V. - Third harmonic distortion as per IS.